A fortnight on from the Twelfth, you still hear a clear determination to end this marching standoff in the north Belfast. “A blueprint has been agreed,” one source commented in a reference to the proposals that came within a few marching steps of delivering agreement at the end of June. “My own sense is that we will return to this sooner rather than later,” he said. Those closest to the talking do not want to be quoted by name. Their comments are non-attributable. “There’s no desire to gain any political advantage or community kudos,” one said – adding this is about “doing the right things for the right reasons”. He said the task now is about “widening out support” for what came so very close to being a deal in late June and working on the “finer detail”. 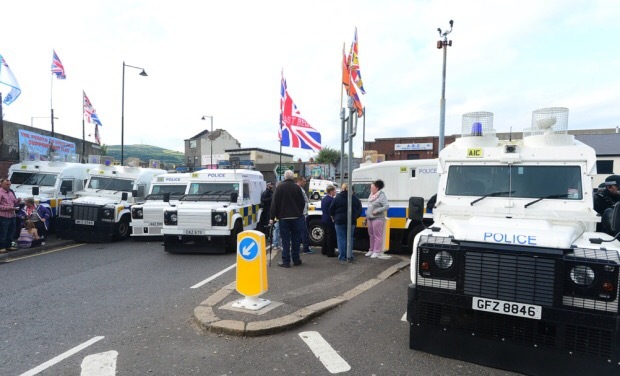 That detail was a march to complete the return leg of the banned July 12th 2013 parade from Woodvale along a part of the Crumlin Road passing Ardoyne. Then, there was to be a moratorium on return parades, a forum for dialogue, the five annual morning parades would remain and the protest camp at Twaddell would go. That agreement had been reached, or so it seemed. Then, a 2/1 split emerged among the three local lodges – two were in favour of the agreement, one opposed. The deal and the talking were on hold. But, those on the inside of this dialogue, were adamant this was a “pause” – not a “collapse”. The facilitators – former Methodist President Harold Good and the Derry city centre manager Jim Roddy – along with others, always intended returning to this. It was too close to an agreement to let go. “I think there’s an appetite there to resolve it once and for all,” another with knowledge of the talking said. “I think there’s a different atmosphere,” he added. On the pre-Twelfth near-agreement, he described “positive intent – everybody acting in good faith”. Since then, there has been no blame game. Getting complete agreement in a place of so many different opinions, including on the nationalist side where there are two residents groups – CARA and GARC – might be too much for which to ask. But the talking will resume and there is still hope: “With all the ingredients in the mix, this can be done any time. Why would you wait?” one source asked. He was supporting a view expressed elsewhere that “experience has shown that eleventh-hour stuff doesn’t work”. Having been so close to an agreement, no one wants to leave this to the last marching minute – or to leave it to the next generation. The effort is to find agreement now.